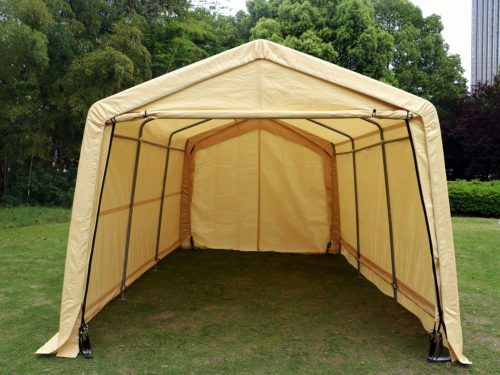 This sturdy car tent gives excellent water resistance properties. The polyethylene top is infused with heat-seal technology designed to protect your car while keeping damage from UV rays to a minimum. 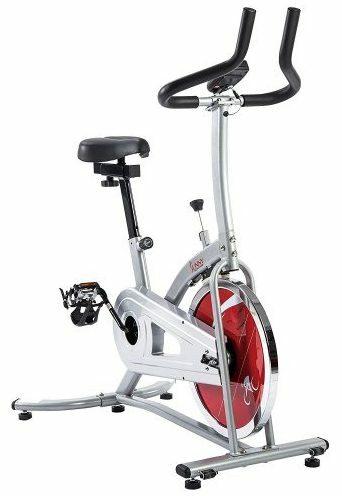 Powder-coated steel legs gives long lasting support and have foot pads for increased stability. 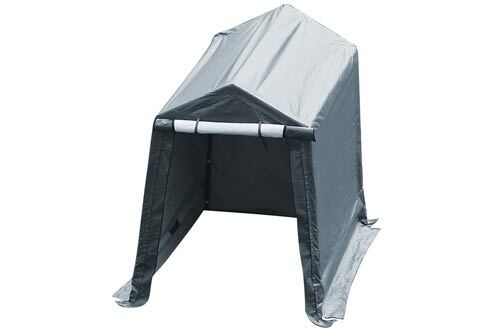 This tent stands 8 feet 9 inches tall and creates a sheltered space of 200 square feet. The Caravan Canopy Carport weighs in at 58.2 pounds and that is about it for this one, nothing special here, but you shouldn’t expect anything special from this lower-end spectrum of tents. However it does its job pretty well, not to mention it looks pretty good too. 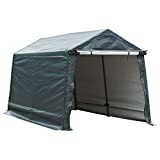 If it wasn’t for the quality of these products, we wouldn’t be talking about it this much, but Abba Patio is returning to our list with a tent in the more premium category. 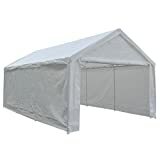 This one is a 12 x 20 feet white polyethylene tent that features 8 1.5 inch steel legs and 3 removable panels. The polyethylene cover extends to cover the sides for maximum protection from the elements. The walls created by the cover can be detached depending on the weather condition. 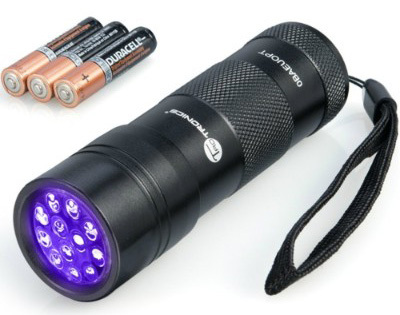 The versatility of this one makes it great for traveling because you can remove the 3 panels and take it with you. 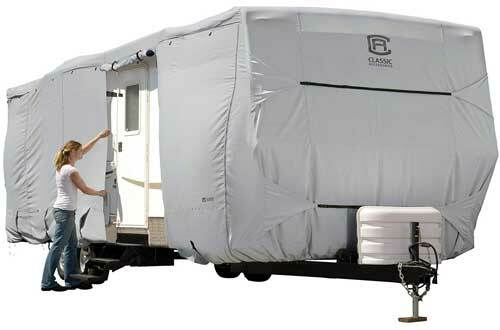 This one is just continuing the trend, a premium, Abba Patio tent. 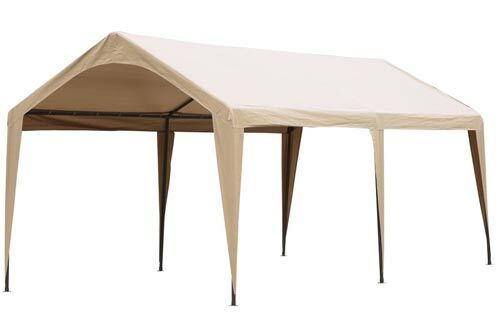 This is a Beige, 143 pound tent, featuring 8 1.5 inch steel legs. At 9.4 Feet it is a pretty tall tent. It creates 200 square feet of sheltered area. 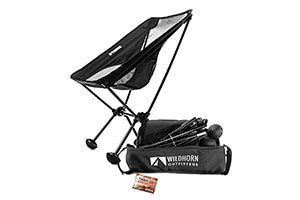 Heavy-duty bungee cords are included in the package to keep the cover of the tent in place. 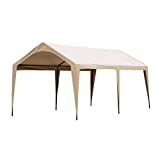 I would have nothing to complaint about this one because it just looks gorgeous with the beige finish, plus, it is a very premium, robust tent which doesn’t need much assembling. The Quictent Heavy Duty Car Carport is another lower end one. It comes in at 8.7 feet tall and 79 pounds in height. 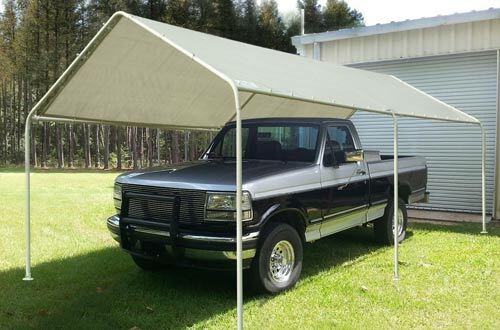 The frame is made out of 1.5 inch thick steel and your car is protected from UV light and water. After all, no one wants a car with rusted and UV-light exposed paint. Besides all that this one should fit a pretty big vehicle inside because of its 8.7 foot tallness. Extra-thick polyethylene cover is used for long-term protection and maximum durability. 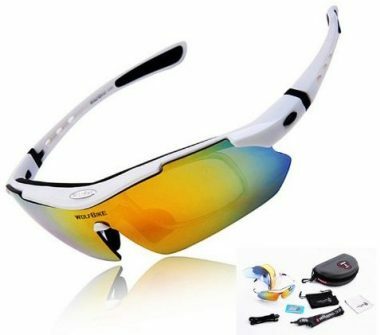 The cover won’t tear and has excellent waterproof and UV-resistant qualities. This one is again following the lower end portable car canopy trend. 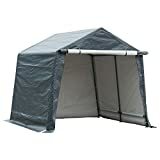 This one comes in at 10 x 20 feet, and 38.9 pounds hence it is advertised as “calm environment only”, and you should really listen to that, after all, you don’t want your tent flying all over the neighborhood. That set aside this one sports a white powder coated iron framework. At that 38.9 pound mark I wouldn’t be able to find a reason not to buy it if I would need a really portable and convenient car tent. For this one we are returning to Abba Patio tents, but this time we are taking a look at a smaller, but not necessarily less premium one. 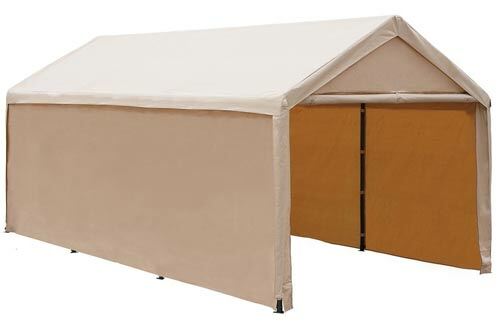 The Abba Patio Storage Shelter is a heavy duty 8×14 feet tent sporting 6 1.5 inch legs. 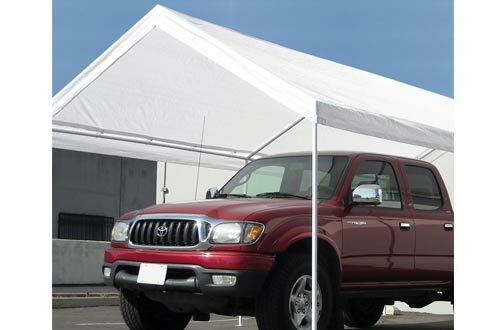 The tent looks really good and will house your car inside with no problem, just make sure it is not too gigantic! Here we are talking about an Abba Patio product again. 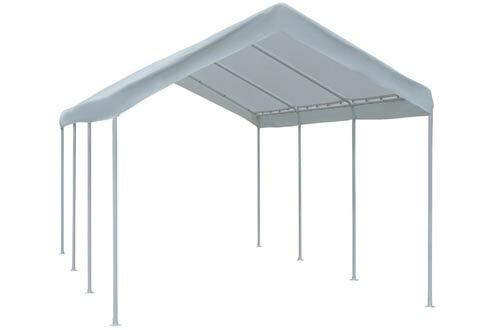 The Abba Patio Outdoor Carport Canopy is featuring 6 1.5 inches in diameter legs and is made out of water resistant polyethylene not to mention it is quite a tall tent at 9.5 feet. This one is perfect for taller vehicles because of that 9.5 foot tallness. 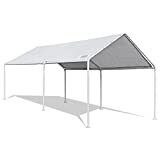 The Abba Patio Carport Car Canopy is, obviously, yet another Abba Patio car tent, and if you thought this one is an exception to the Abba Patio premium build quality, this one is not an exception. 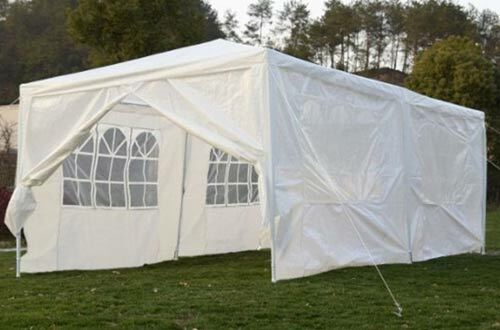 This is a white car tent with 8 steel legs and a peak height of 9 feet. If you don’t feel the comfort, maybe your car will. 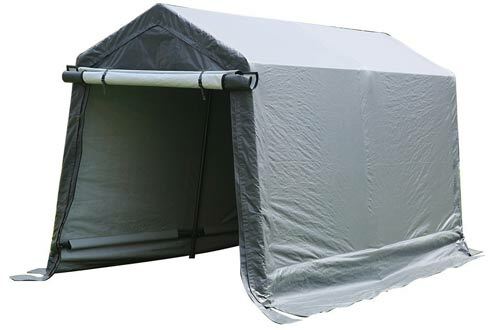 The Abba Patio Storage Shelter is a grey polyethylene 10 x 10 feet tent. It measures in at 120 x 120 x 104.4 inches packed, while still being reasonably heavy at 80 pounds. The poles are made of steel with a diameter of 1.5 inches. 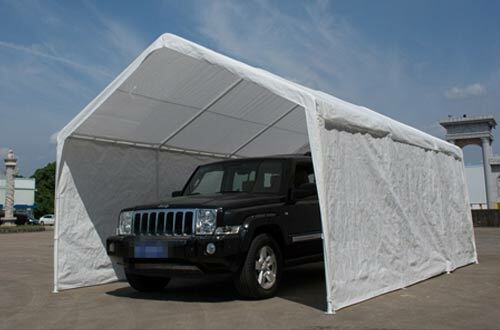 This is a sturdy car tent that won’t fall over your car and most importantly protect it, plus it is very simple to assemble.